This week, in the midst of the European and local elections, an article appeared on professional content-bucket Buzzfeed regarding a political party called Britain First, an offshoot of the British National Party. In Buzzfeed/Upworthy terms, what I read shocked me. According to the article, over 300k people are fans of the Britian First page on Facebook - far more than the three mainstream political parties, and over three times the number of fans than the Liberal Democrat party. At first I was wary: how could a political party with so little representation nationally have so many fans on their Facebook page? I smelt a rat. However, upon checking the Facebook page, and discovering to my dismay that two people I know like the page in question, I am having my doubts about this. 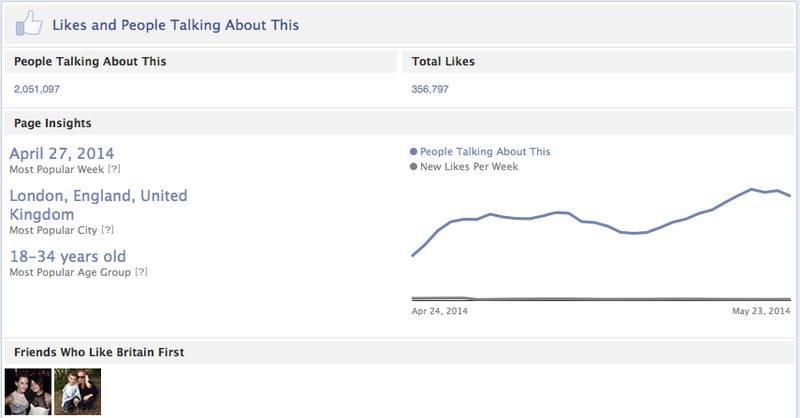 The page is consistently adding fans, and it’s majority user base is in the United Kingdom. There are no sudden growth spurts to indicate the bulk-buying of fans, which is a subject I’ve covered in previous blogs. The only reason that I can see for the page’s popularity is their constant, incessant sharing of patriotic imagery, coupled with strong calls to action - asking people to like and share their content if they agree, and goading people who do not share the images with the inference that they somehow condone mass immigration and child abuse if they don’t. I have no problem with people choosing to support a political party if they genuinely believe in the ideals that party stand for. But I think this is more of a case of mistaken identity than anything else. From what I can see, the images that are being liked and shared the most are little more than clickbait. Lee Rigby, Princess Diana, Winston Churchill. Three people who are stitched into the fabric of our society for a variety of reasons. They resonate with people. Tragic, heroic, caring. Britain First is exploiting this. 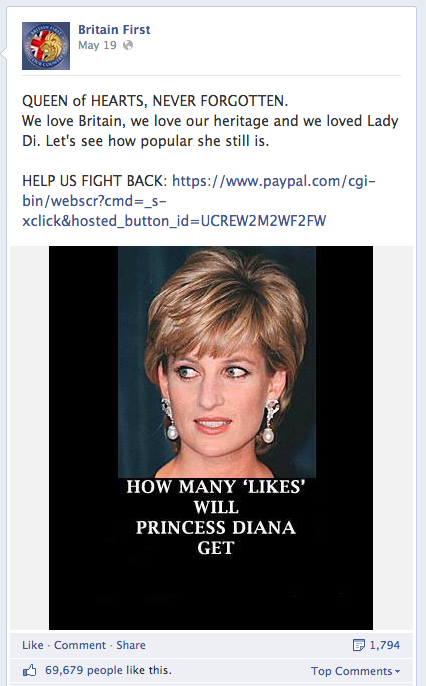 By asking somebody to like and share a picture of Lady Diana, you are avoiding having an actual conversation about your policies. Yes, you are creating engagement, and getting new people to your page, but you are not really having conversation about your policies. 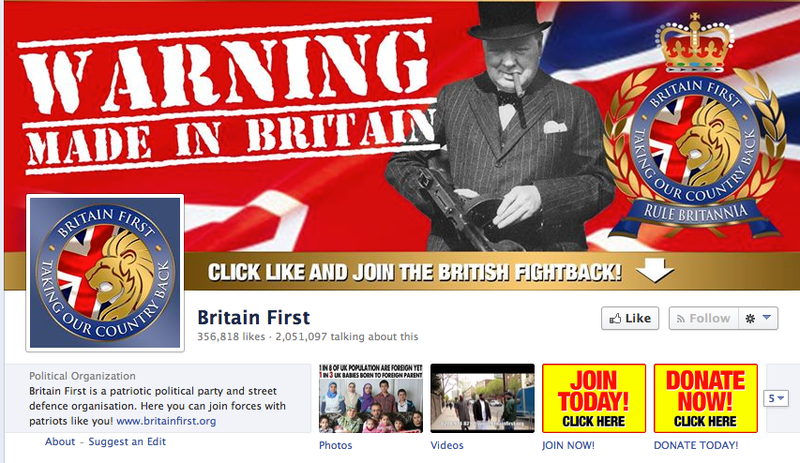 Britain First - I doubt that the vast majority of your Facebook audience know what your policies actually are. And the reason that most political parties don’t share pictures of Lady Di, Lee Rigby and Winston Churchill is that they don’t have the permission of the families of these people to do so. They don’t want their relatives exploited for political gain. You should know this, Britain First - Lee Rigby’s mother asked you not to use his name or likeness in any of your promotional literature. Are you genuinely proud to do that on Facebook? Are you proud that you are using pictures of the dead (who aren’t around to grant permission for you to use their images or likeness) to get engagement for your page? 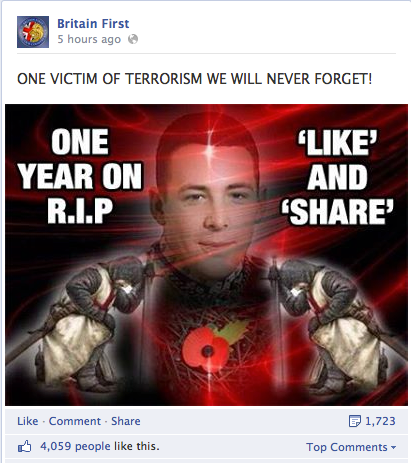 Are you happy to reduce the terrible murder of Lee Rigby to a Facebook post? If so, you don’t sound like the type of party that I’d vote for. You sound a bit ignorant, and quite frankly thick. You are a party that marches down Brick Lane, a place where thousands of people go for curry, culture and a bit of fun on a weeknight, claiming that you’re doing it for the memory of 'great Christian crusaders' like Lady Diana. 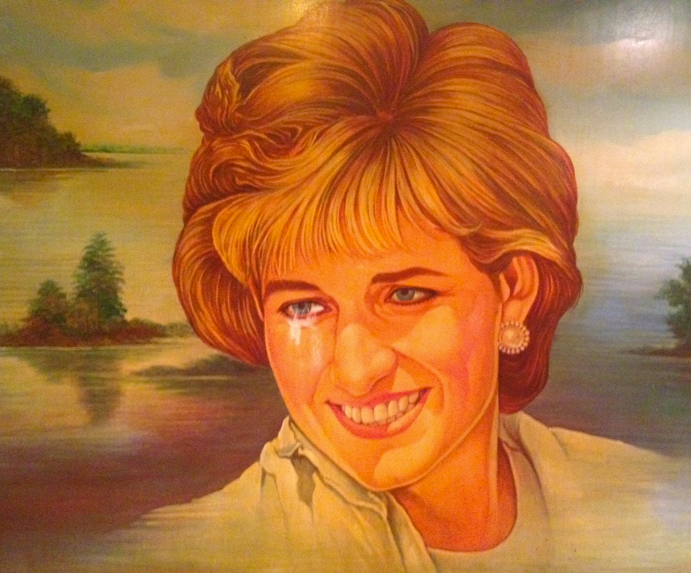 The same Diana who is represented in all her glory on the wall of my favourite Brick Lane curry house. I bet you more British people have enjoyed a nice curry in Cafe Bangla than like your Facebook page, Britain First. 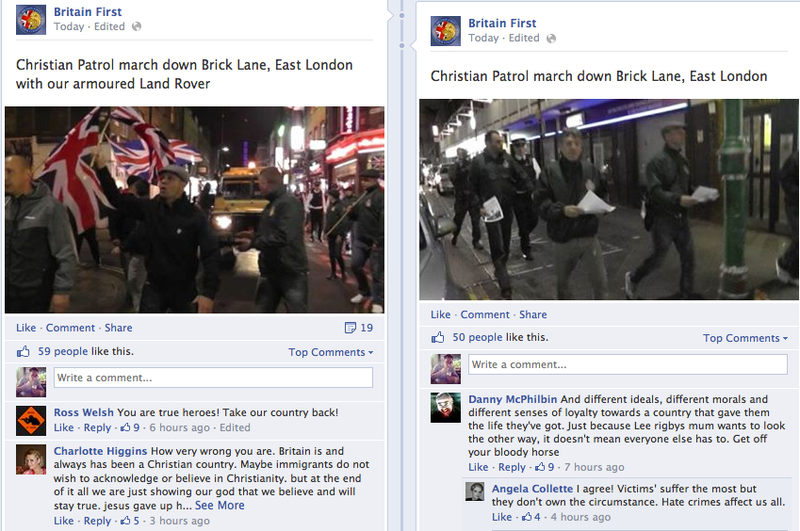 I bet you more British people like the country how it is, and where it is going, Britain First. I bet you that the spelling and grammar on the curry menu in Cafe Bangla is a lot better than the spellings on your Facebook page, Britain First.